This fine introduction by Neil Arason first appeared in the Winter 2018/2019 issue of CITE Transportation Talk, accessible via issuu at this link. Text reproduced here by kind permission of the author and the Canadian Institute of Transportation Engineers. The present page and all its sections can be reached from the scrollover section of the drop-down menu under POLICIES & PRACTICES above — as can the VZ Toolkit, which makes a nice complement to the present overview. Land transportation deaths and severe trauma represent an enormous problem. Unfortunately, it is rarely given the priority commensurate with the size of the issue and the large number of solutions available, often at low cost. Massive change can be achieved if we shift our thinking, make road safety a priority, and adopt vision zero and the safe system approach. When it comes to land transport, the numbers speak for themselves. In Canada, over 235,000 people have been killed in motor vehicle crashes since 1950. In the last ten years, around 187,000 people have been hospitalized from traffic crashes. There has been no recent progress in reducing fatalities and major injuries to pedestrians and cyclists. And even though road deaths are the number one killer of young people in Canada up to age 24, the overall topic gets little political traction or serious public discussion. What we first need to understand about the road safety problem is that humans are imperfect. Consider just some of the human factors associated with millions of drivers over billions of hours of driving time: alcohol, drugs, distraction, fatigue, complacency, speeding, high testosterone levels, low maturity levels, low self-control, vision issues, cognition issues, weak motor skills, mental health issues, drivers who feel rushed or agitated, and the seeping proliferation of ordinary human error. Indeed, Johnston, Muir, and Howard reveal in their book Eliminating Serious Injury and Death from Road Transport that about 60% of fatalities and 90% of serious injuries from road crashes do not involve a driver purposefully breaking an overt law. The authors hit home the point that road crashes and their horrific outcomes happen to ordinary people in ordinary circumstances. At the same time, the distribution of road trauma is not entirely random. Researchers in British Columbia reviewed child pedestrian deaths and found that aboriginal children and those from low-income families were significantly over-represented. US studies reveal that higher socioeconomic status is associated with better vehicle safety features and that, despite long-term declining overall road crash mortality rates, the resulting benefits are disproportionately impacting the wealthy. But enough about the road safety problem – what about the solutions? To achieve meaningful changes, the first thing we need to do is make road safety a priority. To see the change that can result when governments take action, we can look to France. In July 2002, President Chirac announced “The fight against road un-safety” as one of its top three priorities. As a result of the ensuing actions, France achieved some of the steepest declines in road trauma of any OECD-member country – a yearly average 7.6% decrease in fatalities for 10 consecutive years starting in 2000. Canada, on the other hand, has not made road safety a priority. In 2016, Canada ranked only 14th in road safety performance as measured by motor vehicle deaths per 100,000 persons. Countries with the best road safety performance have about half the road trauma that Canada has. Cutting road trauma by half is only a start as more are calling for vision zero – the complete elimination of deaths and severe injury from land transport. Implementing vision zero is realistic, in part because it involves responding to the human-made problem of severe injury with human-made solutions. Sweden, the country most associated with this movement, enshrined in its legislation a commitment to remove death from road transport. Its thinking is centred on the idea that the mental and physical capacities of humans are known and understood and should be used to guide the way forward. The only way that vision zero can be adopted in a meaningful form, however, is when accompanied by a steadfast commitment to safe system thinking. What exactly, then, does that mean? It is often said that 90% of crashes are caused by drivers; however, this is because we have designed a system that allows 90% of crashes to be caused by drivers. Instead, vision zero and safe system thinking are about creating a system that works automatically by design to make road user deaths and serious injuries nearly impossible outcomes. This is the safe system approach and it represents the leading thinking in the world in road safety. This approach means implementing evidence-based measures for safe drivers, safe speeds, safe roads, and safe vehicles. This entails viewing each of these layers as imperfect and then strengthening each one or “plugging its holes” so that a serious injury crash cannot get through all the layers. Johnston, Muir, and Howard describe air travel, where the international Aviation Safety Reporting System captures over 60,000 reports of human error made by air and ground crew each year. The key difference here is that the aviation system is designed so that various other checks and balances do not allow these errors to result in serious repercussions. The safe systems approach is so realistic that the European Commission adopted the goal that they will move to zero fatalities in road transport by 2050. Many national, regional, and city governments the world over have also adopted vison zero, many with even more aggressive timelines. Whether these governments adopt this goal along with the requisite safe system thinking, however, is cause for concern. In some places, vision zero is adopted in name only and implemented with little more than an elaborate educational campaign. This is a real threat to potential progress. To implement vision zero and the safe system approach fully then we will need to understand the direct role of each of its four layers beginning with what is perhaps its weakest layer. Traditionally, we have focused a great deal on getting drivers to drive better. A systematic review points out that driver error is a contributing factor often cited in traffic crashes and driver education and training is oftentimes used to respond. This review of trials, however, found strong evidence that no type of driver education leads to a reduction in traffic crashes. At the same time, not insignificant amounts of road safety progress have come from programs that impact driver behaviour. An excellent example is better overall attitudes today around drunk driving. In BC, a study found that revolutionary and tough new laws for drunk driving introduced in 2010 resulted in reductions to alcohol-involved fatal and injury crashes of 40.4% and 23.4% respectively. Additionally, aggressive police enforcement of the rules of the road is an injury prevention program that is relatively easily implemented. Ramped up enforcement consistently reduces the number of injury and fatality crashes both immediately and for as long as three to six months after such stepped up enforcement ends. These safety benefits are only outdone, according to mounds of research, by automated enforcement. The United Kingdom started to implement automated speed enforcement in the early 1990s and currently has over 5,000 speed-checking units, making it one of the largest programs in the world. It is estimated to save 1,745 people from being killed or seriously injured each year and to generate considerable monetary savings to British society. Ultimately, strong traffic safety legislation that police have the tools to enforce, like drunk driving and speeding, can make an important dent in reducing road trauma. However, using generic public safety messages and even driver training to get drivers to drive better is not well supported by research. To make more progress still, we must consider the physics of speed. The central tenet of the safe system approach is safe speeds. This is because appropriate speeds provide an almost magical safety buffer that reduces the likelihood of a crash, by shortening stopping distances, while lessening the amount of raw kinetic energy released on people when crashes occur. This is because the quadratic non-linear relationships involved translate small differences in speed into large differences in injury outcomes. Safe system thinking involves setting speeds with the expectation that crashes will happen and contemplating the injury severities likely to result from such crashes on any given type of road. 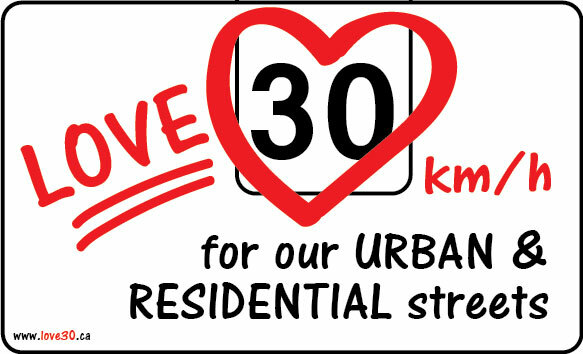 In cities where pedestrians or cyclists mix with vehicles, the safe speed is 30 km/h. This is because when the crash impact speed rises from 30 km/h to 50 km/h, the fatality risk to a pedestrian increases five to eight times. Where there is potential for a vehicle-to-vehicle side-impact crash, the safe speed is 50 km/h because this is the speed that serious injury is far less likely to result. On an undivided rural highway where a head-on crash is possible, a safe speed is around 70 km/h. If we want higher speeds than this, we must separate opposite-flow traffic. Source: No accident: Eliminating injury and death on Canadian roads, Waterloo: Wilfrid Laurier University Press. But on roads where cars and people mix, do lowered speeds really work? A 20-year time-series study examined 20 mph (32 km/h) zones in London with traffic calming and found that these areas were associated with a 41.9% reduction in road casualties. And what about highway speeds? Kloeden, a vehicle speed and crash risk expert, identified in a seminal paper five low-cost measures to improve road safety outcomes, three of which involved reduced speeds, and stated that “the lowering of speed limits is potentially the most effective road safety measure available.” Around the same time, Swedish researcher Nilsson developed and published the “Power Model” which found that even a 5% increase in mean speed leads to roughly a 10% increase in all injury accidents. In BC, speed limits were increased on over 1300 km of highway in 2014, some increased to 120 km/h – the highest in Canada. Two separate studies, with distinct methodologies, assessed the impact of these speed increases and revealed average serious injury crash increases of just over 11%. As a result, over half of those speed limit increases have since been reversed. When setting speed limits, the 85th percentile is used at times but is this appropriate? Bella Dinh-Zarr, board member of the US National Transportation Safety Board, pointed out at a road safety conference in 2018 that this method is now squarely refuted by a report from her own organization. The reason is that it is not drivers who should set speed limits, but road engineers. And those speed limits should be set based on the biomechanical tolerance of humans to blunt-force expected from inevitable crashes. The setting and managing of safe speeds that are appropriate for each type of road and its injury potential is of no small importance. Building on this, we can move further into safe system thinking by designing safe roads. Safer roads, in both urban and rural settings, play a massive role in reducing serious injuries and deaths to people. Roads can function to help manage speeds, reduce complexity and allow for human error, guide drivers to do the right thing, and reduce crash forces on people. In cities, we can reduce speed limits but we can also deploy roadway measures that generate safe speeds using innovative methods like giving streets attributes that correspond with their speed limit; removing slip lanes; making turning radii shorter; narrowing vehicle lanes; converting two-way stop intersections to four-way; and implementing traffic calming measures like chicanes, speed humps, and raised pedestrian crossings. Next comes road and signalization measures that separate vulnerable road users from vehicle traffic through time or space. Temporal separation can take various forms of dedicated traffic movements like leading pedestrian intervals, pedestrian scrambles, channelized turns, elimination of permissive left-turn, and a ban on the right-turn-on-red. Current unpublished research I am part of is finding that, at intersections, serious trauma to pedestrians is four times more likely to result from a left-turning vehicle than a right-turning one. Giving vulnerable pedestrians a WALK signal at the same time as a green permissive left-turn to a 2,000 kg motor vehicle is an example of what safe system thinking is not. Then there are the measures that separate vulnerable road users from vehicle traffic through space. These take the form of wide sidewalks located well away from roads, floating bus stops, sidewalk bulges and crossing medians, reduced crossing distances, and tunnels and overpasses that provide complete separation of pedestrians from cars. For cyclists, we can embark on connected and protected bike lanes and “rails-to-trails’ initiatives that turn over former railroad tracks to active transport modes. A study from the University of British Columbia found that protected cycle tracks have just one-ninth the risk of cycling injury compared to major streets with parked cars and no bike infrastructure. And there is the role of nudged decision-making. We can help road users make safer decisions at the actual locations and times that their decision-making can be aided. Examples of such measures include the Danish offset crosswalk, more vivid crosswalks, rectangular-rapid flashing beacons, better signage, advance stop lines, better lighting and improved sight lines, removal of on-street parking where needed, carefully placed bus stops, and brightly coloured bike lanes. For major innovation that encompasses many of the above safety principles into a single design, we can turn to cities like Vancouver with their protected intersections or New York with their rubber bumpers and vertical posts at intersections designed to slow left-turning vehicles while also reducing the size of vehicle-pedestrian conflict zones and improving driver sight lines. The Complete Hardened Centerline (jokingly dubbed “the Deluxe treatment”) combines the basic hardened centerline and slow turn wedge. Source: Karen Hao & Amanda Shendruk, “One small change to New York’s intersections is saving pedestrians’ lives”, Quartz, 21 Sept 2018. To help prevent rural road crashes, we can implement variable speed limits, high-friction pavement surfacing, self-explaining road design, more vivid warnings of things to come on the road ahead, better lighting, improved sight lines, juddering rumble strips, wildlife detection systems, rest stops spaced no more than 50 kilometres apart, and better access management to avoid giving motor vehicles on secondary roads unfettered, costly, and dangerous access to fast-moving highways. To vastly mitigate serious trauma on higher speed rural road crashes, the most important thing we can probably do is separate opposite-flow traffic from one another through a concrete, steel or high-tension cable barrier. A separate unpublished study that I am part of is finding that, in BC, almost one-half of fatal highway crashes involve a head-on crash configuration. We can also install side crash barriers to prevent right run-off-the-road crashes, affix crash attenuators in front of hard highway objects, and design in space for clear zones. We must also make more roundabouts: this is the intersection design that provides unparalleled levels of safety. Roundabouts reduce speeds, eliminate deadly right-angle crashes, demand that all vehicles travel in the same direction as one another, have only eight points of skirmish unlike a traditional signalized intersection with its thirty-two points of conflict, and increase alertness since drivers understand intuitively that they must be on the lookout and make decisions as traffic lights will not be doing that for them. At the same time, the roundabout has no red lights to run and no traffic lights at risk of failure. Other benefits include fewer traffic delays and a more continuous movement of vehicles that often do not come to a stop. Roundabouts crashes that do occur typically result in little human injury. An unfortunate reality, however, is that we have inherited countless kilometres of roadway that was designed in a very different era. In the 1950s, vehicle speeds and throughputs reigned supreme in the minds of road designers. We have been passed down the arduous job of needing to undo much of the past. As we continue to do so, however, we will gain even more synergies associated with another layer of the system – the automobile. The role of the motor vehicle in a safe system is massive and is comprised, in turn, of two parts: passive and active safety. These four principles of safer vehicle design would be implemented in the real-world over the decades to follow largely because of star-rating crash programs. Such improvements to vehicle safety standards and technologies have saved hundreds of thousands of lives since the 1960s. Other aspects of passive safety include vehicle-to-vehicle crash compatibility, rearguards and sideguards on big trucks, inflatable seat belts and centre air bags. But the safety potential of these measures, and many others like them, falls short as they are not yet widely enough diffused across the new vehicle market. Something else that falls short in North America is pedestrian protection. Europe and Japan adopted binding pedestrian passive safety regulations in 2005. In Canada and the United States, 80,000 pedestrians are hit every year – the majority of whom survive. Given that, why would we not design the front of automobiles to reduce crash forces on people outside of cars? It is simple to do and some car-makers like Volvo and Honda already design this way. They accomplish it by considering the frontal shape of the car; providing adequate space (10 cm) between the hood and all hard points underneath the hood including the engine block; and by softening up any stiff areas around the hood and along the A-pillars. What we do not want is to equip the fronts of cars with steel bull bars that produce the opposite effect: a force to the human head that is as much as three times greater than that from a vehicle with no bull bars. The second part of vehicle safety is active safety. Active safety is comprised principally of technologies that work to help avoid crashes or take control of a vehicle in crash-like situations. Crash avoidance systems use many different types of sensors, including radar, lidar, and cameras to extract large amounts of data and assemble it into meaningful patterns of information to ensure that crashes are avoided or mitigated. Drivers can be warned of an imminent crash or auto-braking can simply kick in and do what the driver should have done had they been paying attention. These systems can include forward-collision warning, traffic-sign recognition, adaptive headlights, lane-departure systems, intelligent speed-assistance, fatigue-monitoring, pedestrian detection and more. What is more, the cost of these systems is plummeting. The industry is abuzz about integrating and standardizing multiple types of technologies, making them more powerful and more compact, maximizing reliability, minimizing development time, and cutting costs to get these systems into more cars and trucks. There has even been talk of making an $8,000 car so technology-enabled it will be hardly possible to crash it. To see the future, we need look no further than car companies like Volvo and Honda. Volvo has the goal of having no person, not even a pedestrian or cyclist, killed or seriously injured by any Volvo of model year 2020 and later. Honda has also set a vision zero goal for its cars. Of course, there will be the autonomous vehicle which, despite a patchwork of controversies, will in the end produce colossal road safety benefits. This is because the car-makers will be forced to assume massively more responsibility and liability for the crashes stemming from such cars. Even though active safety technologies and self-driving cars will outperform humans for safety by a wide margin, unanticipated failures will still result and problematic outside conditions will persist like poor weather, ice on a road and the unexpected. In addition, older vehicles, including antique or collector cars, will likely remain on our roads for decades to come. For these reasons, and others, the role of technology-enabled vehicles will likely never entirely unseat the need for the safe system approach. Ending death and serious injury to people from the traffic system is more achievable today than ever. The road safety problem, however, cannot be solved by tackling only certain layers of the safe system model. Instead, we must continually build up each of the layers to block more of the holes that too often line up to allow serious injury crashes to get through. If we stick unwaveringly to the safe system approach, and build up all four protective layers, we can expect to see a more ethical land transport system that is over time increasingly free of human trauma. N. Arason (2014), No Accident: Eliminating injury and death on Canadian roads, Waterloo: Wilfrid Laurier University Press. I. Johnston, C. Muir, & E. Howard (2014), Eliminating serious injury and death from road transport: A crisis of complacency, Boca Raton, FL., CRC Press. International Transport Forum (2018), IRTAD Road safety annual report 2018, Paris: OECD Publishing (PDF). #RoadSafety expert @neilarason has written a concise, reasoned, plain language intro to #safesystems—i.e. 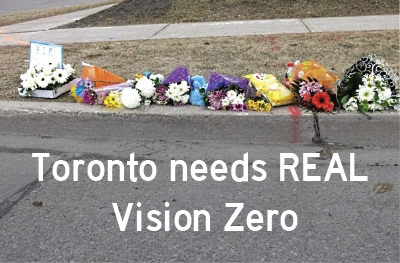 REAL #VisionZero. The VZC website just got a whole lot smarter. Explore the new sidebar content, and let me know what you think.